The under-23s fell at the quarter-final stage in the Premier League Cup yesterday, beaten 3-1 by Leeds United at Gawthorpe, but on another day this would have been a game that ended in a victory. This really was no disappointing performance. We played well, were on top for long spells, but those little things you often need to win a football match went against us while Leeds took their chances and moved on to a semi-final to add to the league title they had won four days earlier. After a quiet opening the game almost started to go our way when Jordan Cropper hit a sensational shot from distance that hammered against the bar. If there was some bad luck there, then there was some good luck went the way of Leeds when they went in front on the quarter hour. They hadn’t threatened us at all up to that point but from a left wing corner they got a flick on which hit the far post only for it to rebound onto Christian N’Guessan and in for an own goal. It seemed to knock us back for a while but as the half drew to a close we got very much on top and finally got our reward with an equaliser from leading scorer Dan Agyei. The ball came in from the left via Tinashe Chakwana and the ball eventually reached Agyei who made no mistake from close range. That goal really lifted us and we dominated as the second half got underway and Leeds had a number of escapes. Bobby Thomas got to a Cropper long throw but incredibly saw his downward header bounce over the bar and Josh Benson, who had come on as a substitute on his return from injury, shot just wide with our best chance. Thomas then went down in the box but the referee, surprisingly, was having none of it. It needed a goal but it didn’t come and Leeds took advantage and their second half goals, both similar, were soft goals from our point of view, both headers at the far post from balls in from the left. Even so, at 2-1 down we had a goal disallowed as we gave them and their histrionic coach Carlos Corberan a real scare in the closing stages but it wasn’t to be. We gave it a really good go and were very unfortunate to lose the game, but we have now to ensure we get the points needed from the last three games in the league to get into that top two and reach the play-offs. Who knows? We could get through and meet Leeds in the final. 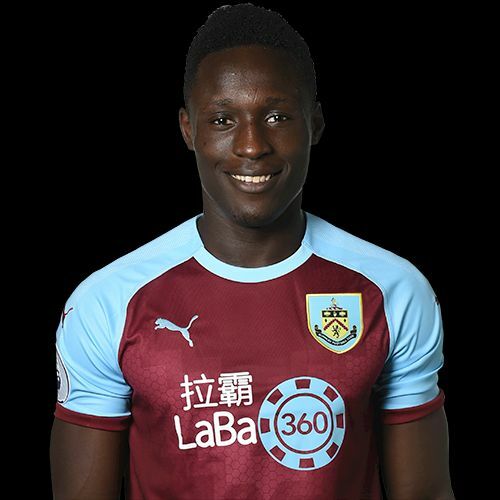 Burnley: Adam Legzdins, Jordan Cropper, Bobby Thomas, Scott Wilson, Anthony Glennon, Tunde Bayode (Marley Blair 57), Mark Howarth (Josh Benson 51), Christian N’Guessan, Tinashe Chakwana, Lewis Richardson (Will Harris 68), Dan Agyei. Subs not used: Aidan Stone, James Clarke. Leeds: Harrison Male, Bryce Hosannah, Leif Davis, Hugo Diaz, Aapo Halme (Kun Mihaylov ht), Pascal Struijk, Jordan Stevens, Robbie Gotts, (Olly Casey 90+2), Ryan Edmondson, Mateusz Bogusz (Alfie McCalmont 90), Clarke Oduor. Subs not used: Josh Rae, Callum Nicell.